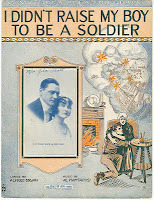 How music influenced not only the morale of soldiers in the trenches and the battle fields, but also the public opinion of the citizens at home in favor of the First World War is the topic analyzed by the new exhibition of the National WWI Museum in Kansas City, entitled Harmonies of the Homefront. 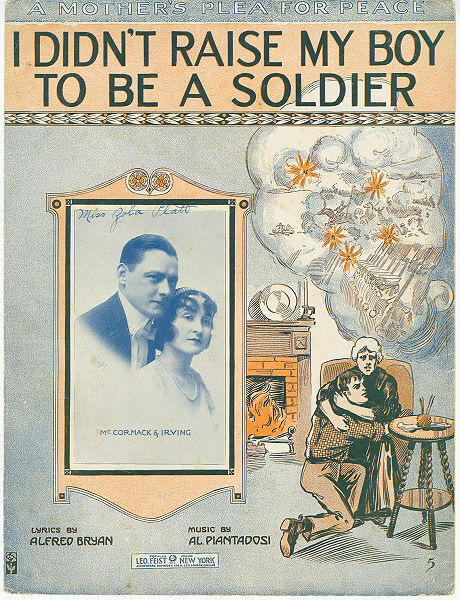 Under the supervision of the guest exhibition curator and music professor Dr. Kristin Griffeath, the multimedia exhibit aims to grasp the inner feelings and emotions of the generation of Americans – but not only – who faced the Great War from their home. So the collective fears, preoccupations, hopes and reliefs are depicted with an astonishing immediacy by the popular songs of those years, including title such as “I didn’t raise my boy to be a soldier”, maybe the most representative musical manifesto of the pacifist movement in the USA before the country entered the WWI, which gives voice to a lonely mother who lost her son in the war. Or hit-songs like “It's a long way to Tipperary”. Open until October 27th 2013, the exhibition is introduced very well in the web page of the museum where you can also listen few songs.